Made by Make, and designed by Keith Brymer Jones. Very stylish and very useful, will look decorative on a kitchen shelf. As well as useful with those pesky recipes that still measure in a cup. 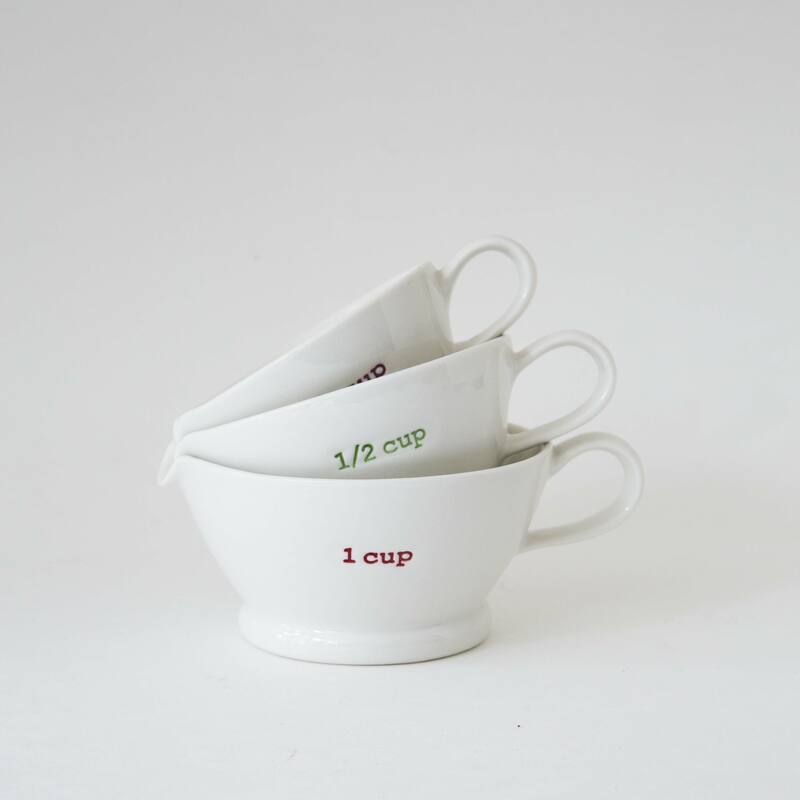 The largest measuring 1 cup (236.59ml) and smallest measuring 1/4 cup (59.14ml). Size: Small Height 5cm x Diameter 9cm, Medium Height 5.5cm x Diameter 10cm, Large Height 6cm x Diameter 11cm.